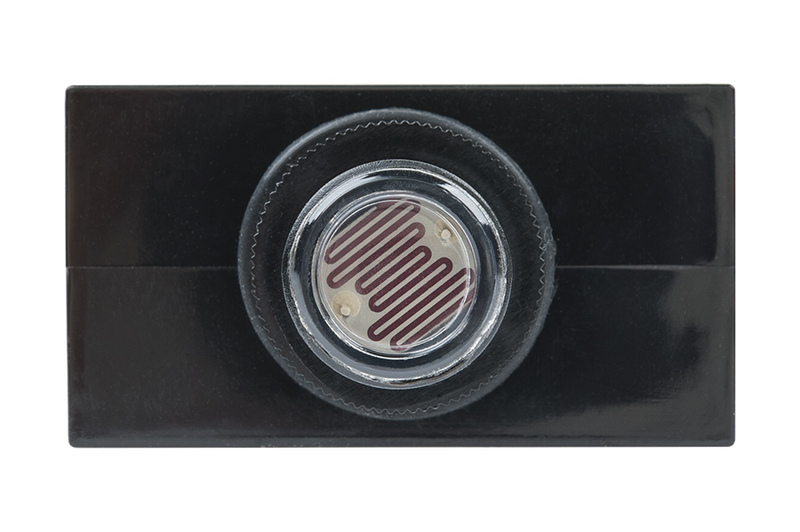 Photovoltaic Cell - Tork 120V AC Photocontrol: 360° View. 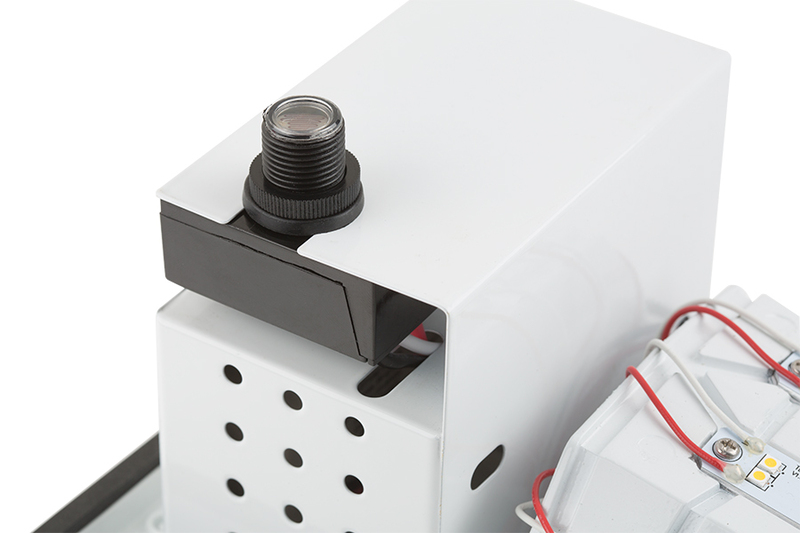 Photovoltaic Cell - Tork 120V AC Photocontrol: Front View. 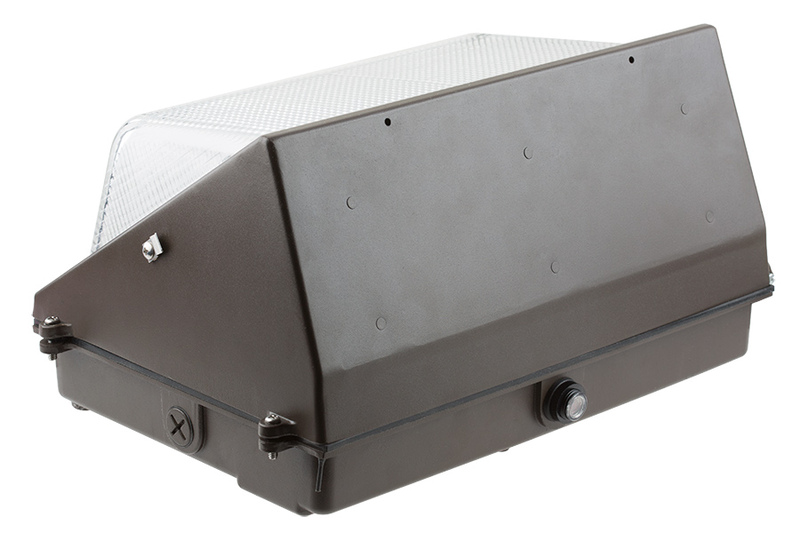 Photovoltaic Cell - Tork 120V AC Photocontrol: Back View. 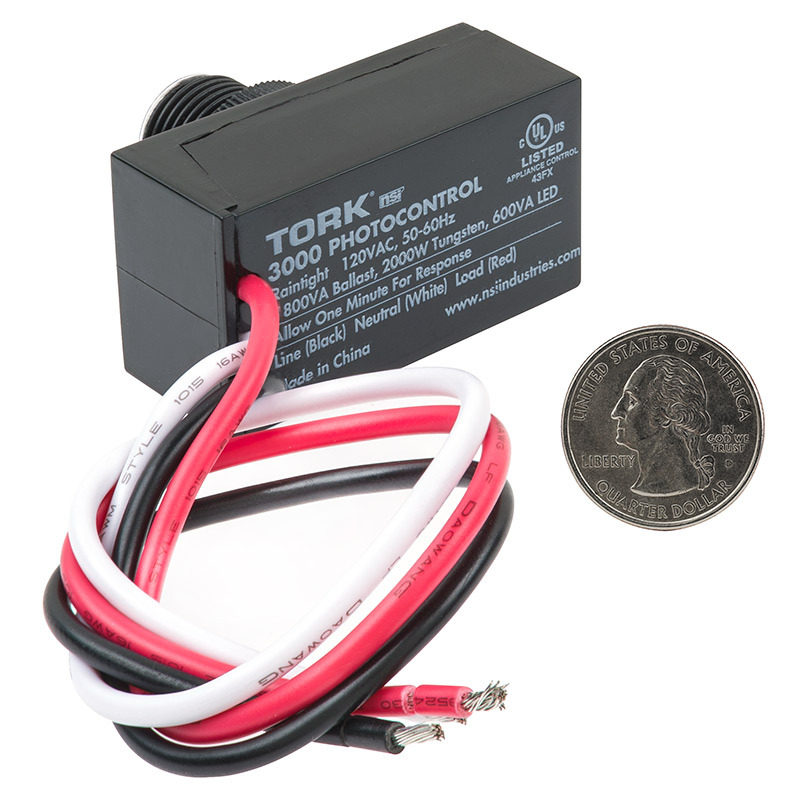 Photovoltaic Cell - Tork 120V AC Photocontrol: Profile View. 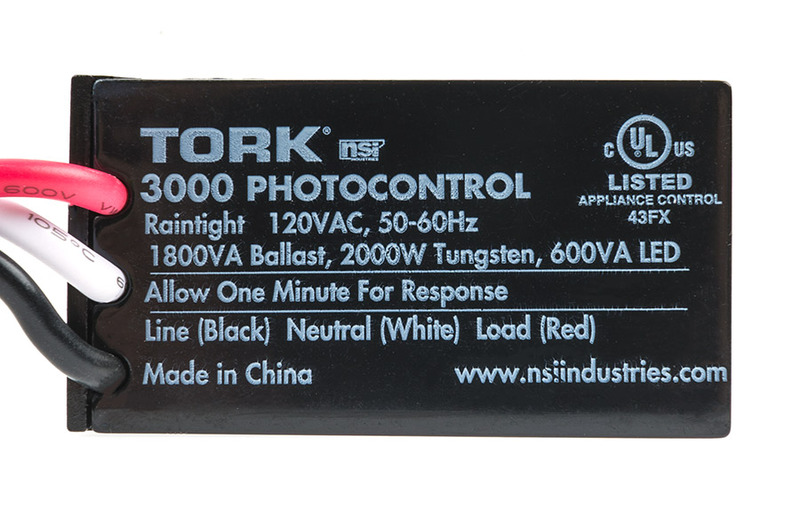 Photovoltaic Cell - Tork 120V AC Photocontrol: Showing Product Text Detail. Photovoltaic Cell - Tork 120V AC Photocontrol: Shown Installed In Wall Pack. 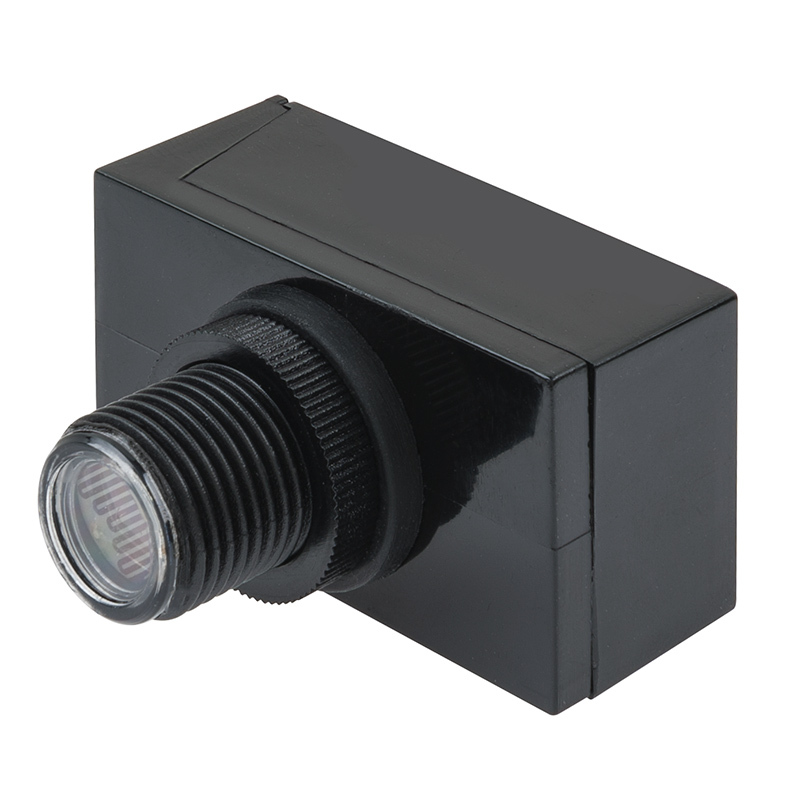 Photocell for landscape systems, path lighting, wall packs, or any 120V AC dusk to dawn applications. 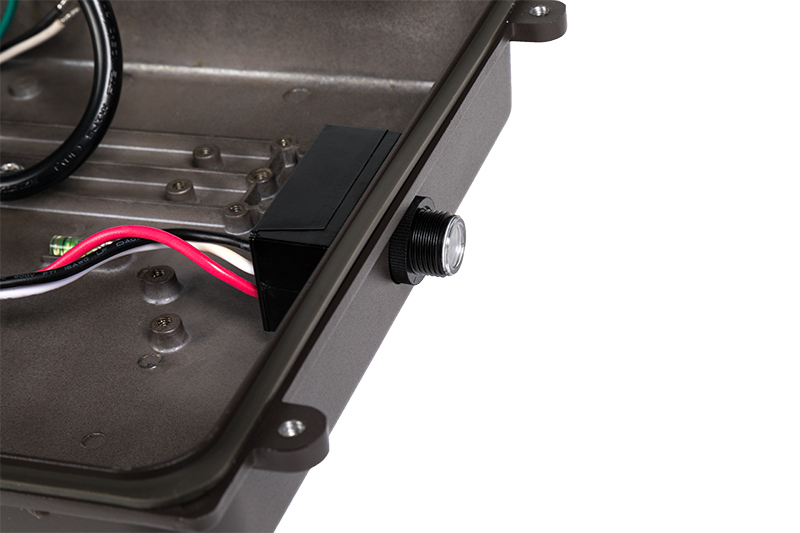 Weather-resistant housing with included gasket and nut is what makes this flush mounting photocontrol unit durable and reliable. 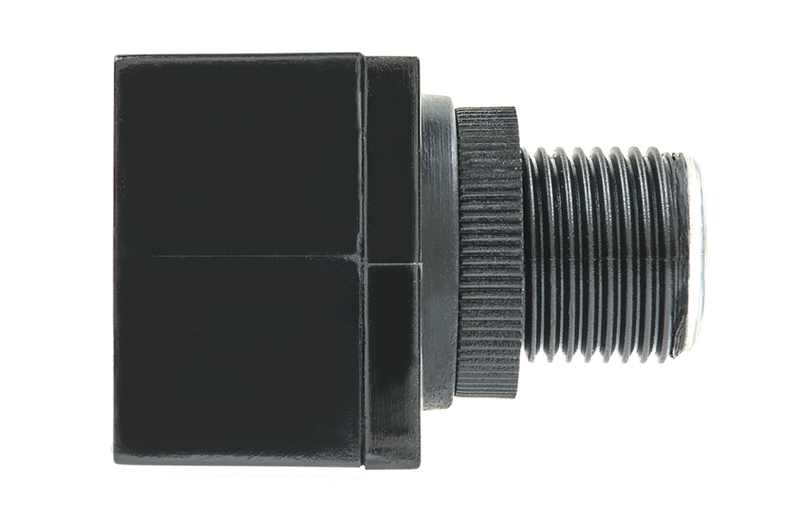 Switch delay of up to 2 minutes prevents false switching due to momentary flashes of light. 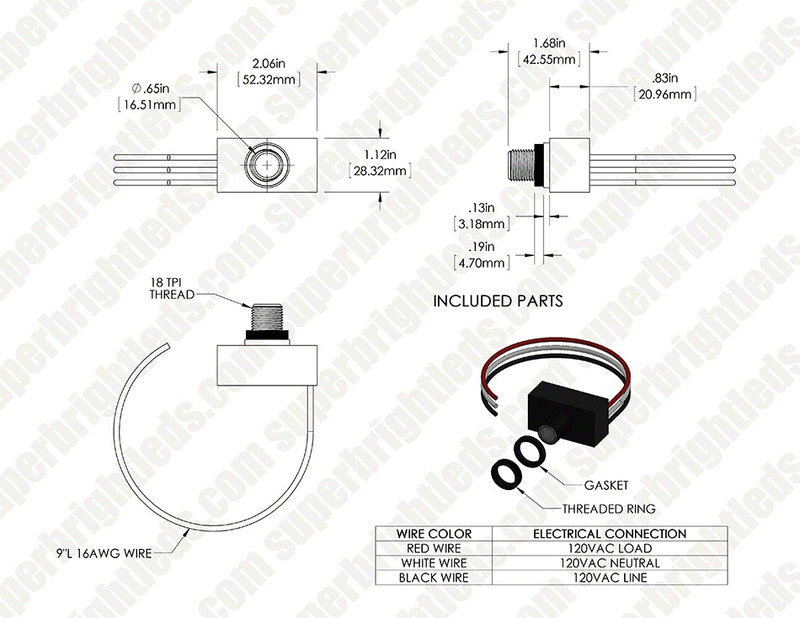 Also available in the 208-277 VAC photocontrol version.